As rivalries go, this one sits firmly on the friendly side of the coin. It all started in July of 2010 when a Bugatti Veyron Super Sport reached 267.8 mph. Then, in February 2014, a Hennessey Venom GT tapped 270.49 mph, only to be outed from the top spot by a Koenigsegg Agera that did a run of 277.87 mph. You may be interested to hear Koenigsegg talk about the record run in Nevada though. 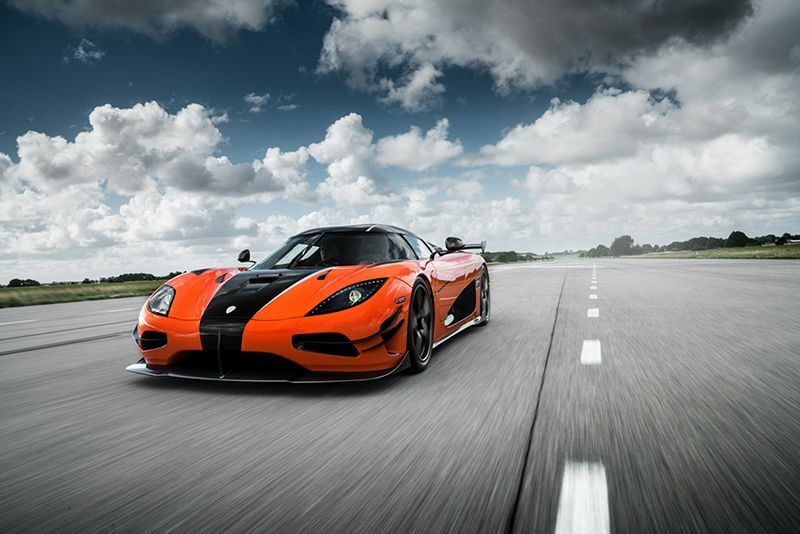 Koenigsegg spokesman, Steven Wade, said: "We actually had no plans to do this. It was proposed by the owner of the car. He had the will and the ability to have the section of highway closed. But we're certainly glad that it's happened." Koenigsegg's replacement for the Agera will be shown as a concept at the 2019 Geneva show, Wade said. Hennessey, however, wants that crown back, and soon. Enter the Texan's first in-house hypercar, the Venom F5, with 1,600hp on tap. For those who might not know, the Venom GT was actually loosely based on the Lotus Exige/Elise with Hennessey's 1,200-hp V8 jammed into the middle. John Hennessey said, "We believe that the F5 will be ... pretty fast. Our engineers and computer simulations say that 300 miles per hour is a potential, and we want to see if we can make that happen in real life." The Venom F5 has a list price of $1.6 million, with half of the 24 planned examples sold and another six pending orders. Their other new vehicle, the Venom RS will go through safety and emissions testing (as a Hennessey for the first time) over the next 18 months, with deliveries in markets around the world expected in the second half of 2019. "We'll begin high-speed validation in 2019," Hennessey said. "There's no promise of breaking any records, but during the course of testing, if we happen to set some sort of record, then great." Then, on to Bugatti, and their $3.25 million Chiron Sport. They haven't mentioned whether they'll try to retake the top-speed title with the Chiron but, considering its 16-cylinder, quad-turbocharged engine is 300-hp up on the record-setting Veyron Super Sports 1,200-hp, the odds look pretty good. Not to mention an even-more-potent Super Sport version rumoured to be on the cards even though new President, Stephan Winkelmann, has said top speed is not a priority. And, with that said and done, all three manufacturers speak freely of a mutual respect. Wade said, "We do have a healthy respect for what John Hennessey does with his vehicles, although the record-setting Venom GT was homologated as a Lotus rather than as a Hennessey, while Koenigsegg crash- and emissions-tested its own cars." Hennessey's words were, "We have a friendly rivalry. The way we view it, whether it's the Koenigsegg guys or the Bugatti guys, we all want to push each other." Bugatti spokeswoman, Manuela Hoehne, said "We respect what other hypercar brands do, however, we clearly differentiate ourselves from them by what we do and how we do it. The Chiron is aiming for the highest possible standards in luxury and driveability as well as maximum acceleration and speed." It sounds like a healthy competition from three very different brands, they could teach the world a lot about diversity, acceptance and respect... at 300mph! Check out all three runs in the videos below. Video: How The Dream Car, Bugatti Chiron Is Made. Bugatti Test Drive Suggests The Chiron Might Hit 280+ Mph!! Video: Watch The Sexyness As The First Three Production Bugatti Chirons Leave The Factory. Video: Riding Shotgun In A 1500bhp Bugatti Chiron. Does It Get More Epic? Video: How Much Is It To Configure The Perfect Bugatti Chiron?